I'm here today with a VERY sparkly card featuring lots of lovely Hero Arts products. 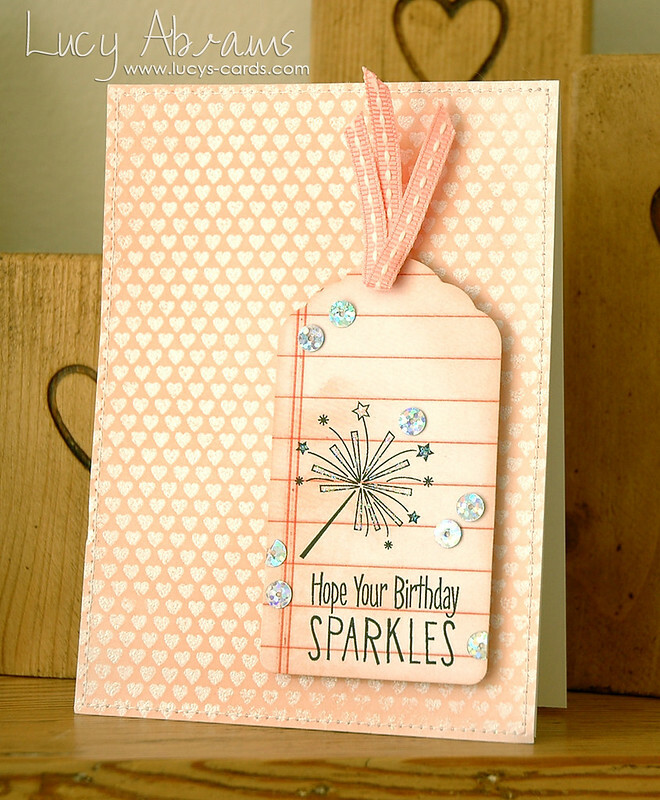 First up, I stamped the Tiny Heart Background in embossing ink on white paper, then added sparkly embossing powder and heat set. Finally, I inked the paper with Tattered Rose distress ink. I die cut a tag (using THIS die) from a scrap of patterned paper then stamped and heat embossed the sentiment and image, both from Hero Arts' Sparkle Birthday set. 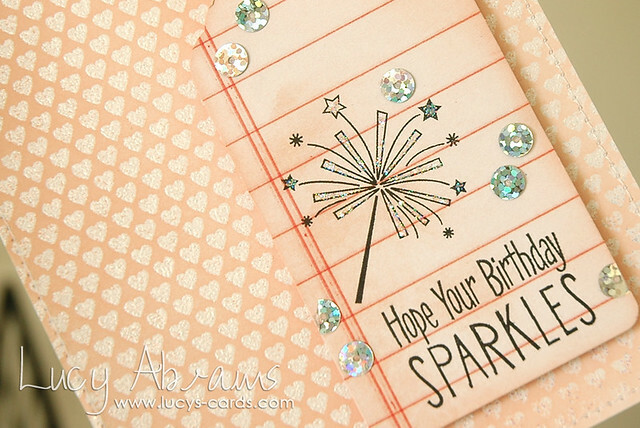 I added Star Dust Stickles to the sparkler, and finished off with some ribbon and sequins. I amn so happy to see you back. Your work just makes me smile. Beautiful! Lucy this is so gorgeous! I adore the colors and heart pattern you used. Lucy - this is beautiful - love all the details!